MacKenzie, Angus (ed). 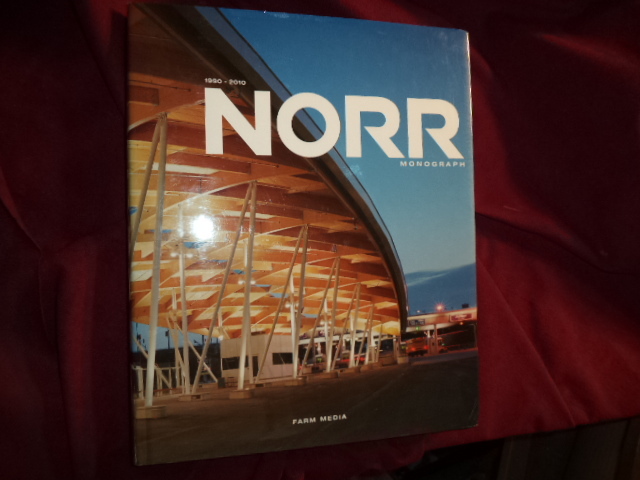 Norr Monograph. 1980-2010. Photo available. Calgary. Farm Media. 2010. 4to. Hardcover. First edition. Illustrated in black, white and color. Important reference work. Fine copy in fine dust jacket (in mylar). MacKenzie, Angus. Secrets. The CIA's War at Home. Berkeley. University of California. 1997. Octavo. Hardcover. First edition. Fine copy in fine dust jacket (in mylar). Mackenzie, Donald A. Egyptian Myth and Legend. New York. Bell. 1978. 404 pps. Octavo. Hardcover. Reprint. Illustrated. Fine copy in near fine (light shelf wear) dust jacket (in mylar). Mackenzie, Donald. 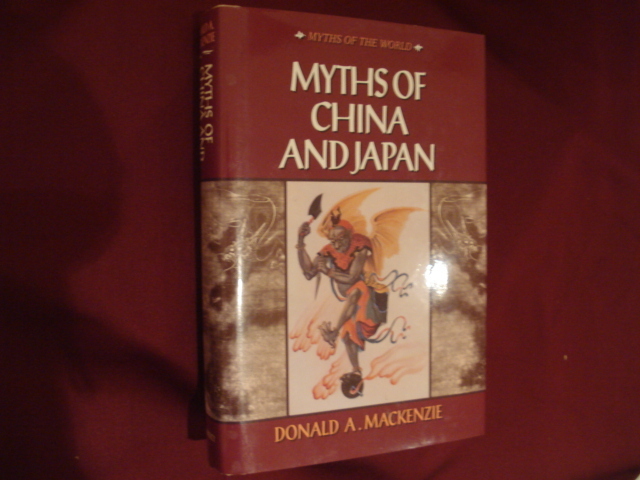 Myths of China and Japan. Myths of the World. Photo available. New York. Gramercy. 1994. Octavo. Hard cover. Fine copy in fine dust jacket (in mylar). Mackey, Sandra. The Saudis. Inside The Desert Kingdom. Boston. Houghton Mifflin. 1987. Octavo. Hard cover. First edition. Fine copy in very good (light shelf wear) dust jacket (in mylar). MacKinnon, Murray. 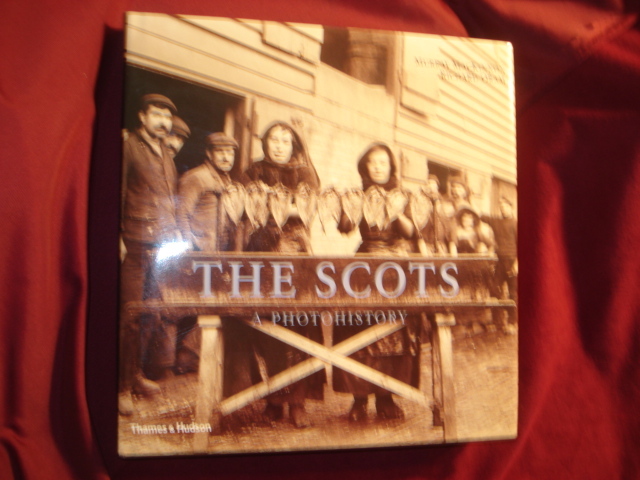 The Scots. A Photohistory. Photo available. London. Thames & Hudson. nd. 4to. Hardcover. First edition. Illustrated in black, white and color. Fine copy in fine dust jacket (in mylar). Macksey, Kenneth. From Triumph to Disaster. The Fatal Flaws of German Generalship from Moltke to Guderian. London. Greenhill. 1996. Octavo. Hard cover. First edition. Illustrated. Fine copy (owner blind stamp) in fine dust jacket (in mylar). Maclagan, Michael and Jiri Louda. Heraldry of the Royal Families of Europe. Photo available. New York. Clarkson N. Potter. 1981. 4to. Hard cover. First edition. Illustrated in black, white and color. Fine copy in very good (light shelf wear) dust jacket (in mylar). MacLaine, Shirley. Don't Fall Off the Mountain. New York. W.W. Norton. 1970. Octavo. Hard cover. Reprint. Fine copy in near fine (light shelf wear) dust jacket (in mylar). 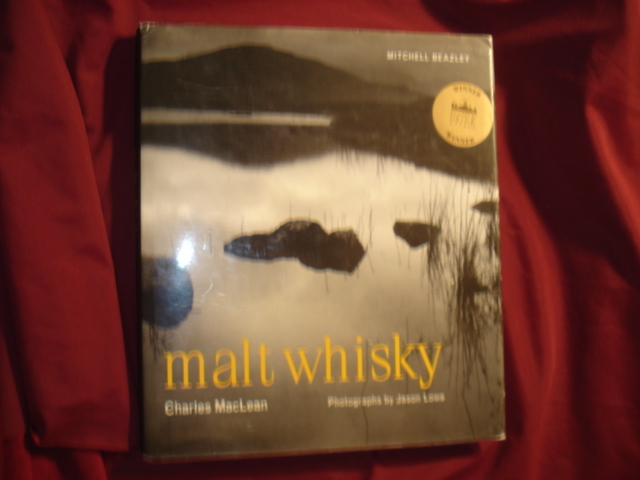 MacLean, Charles. Malt Whiskey. Photo available. London. Mitchell Beazley. 2002. 4to. Hardcover. Reprint. Illustrated in black, white and color. Fine copy in fine dust jacket (in mylar). MacLysaght, Edward. 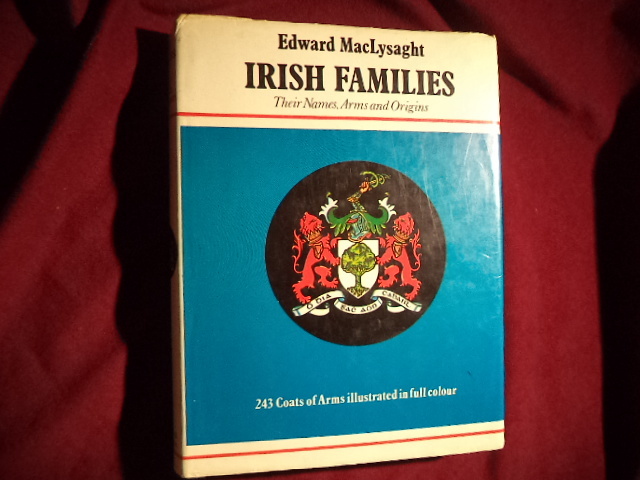 Irish Families. Their Names, Arms and Origins. 243 Coasts of Arms Illustrated in Full Color. Photo available. New York. Crown Pub. 1972. 365 pps. 4to. Hardcover. Reprint. Illustrated in black, white and color. Important reference work. Folding map. Huge timeline laid in. Fine copy in near fine (several small, closed tears in edges) dust jacket (in mylar). MacLysaght, Edward. 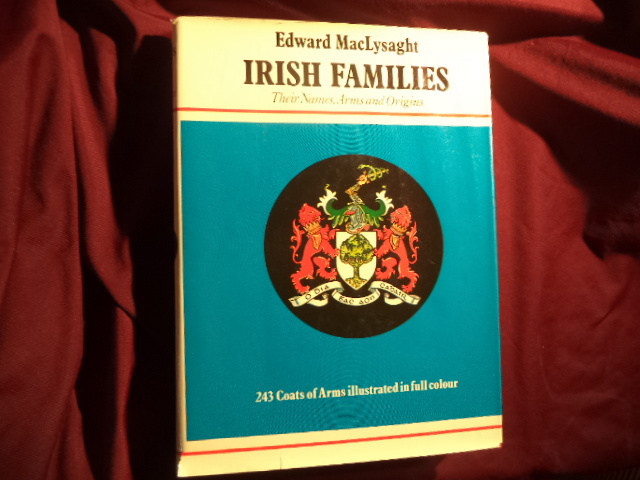 Irish Families. Their Names, Arms and Origins. 243 Coasts of Arms Illustrated in Full Color. Photo available. Dublin. Allen Figgis & Co. 1978. 365 pps. 4to. Hardcover. Reprint. Illustrated in black, white and color. Important reference work. Large, folding map. Fine copy in near fine (very light shelf wear) dust jacket (in mylar). MacMillan, Margaret. Paris. 1919. Six Months That Changed the World. New York. Random House. 2002. 570 pps. Octavo. Soft cover. Illustrated. Fine copy. MacMillan, Norma (ed). The Cook's Color Treasury. London. Epidem. 1982. 780 pps. 4to. Hardcover. Reprint. Illustrated in color and black & white. Fine copy in near fine dust jacket (in mylar). MacMullen, Ramsay. Christianity & Paganism in the Fourth to Eighth Centuries. New Haven. Yale University Press. 1997. 282 pps. Octavo. Hardcover. First edition. Fine copy in fine dust jacket (in mylar). MacPhee, Chester R. The Greatest of these is Charity. A History of the Masonic Homes of California. np. Board of Trustees Masonic Homes of California. 1987. 160 pps. Octavo. Hardcover. First edition. Illustrated. Fine copy. Macrae, Kenneth & Iain H. Murray (ed). Diary of Kenneth Macrae. A Record of Fifty Years in the Christian Ministry. Photo available. Edinburugh. The Banner of Truth Trust. 1980. 535 pps. Octavo. Hardcover. First edition. Illustrated. Important reference work. Fine copy in fine dust jacket (in mylar). Maddox, Brenda. Who's Afraid of Elizabeth Taylor? New York. M. Evans. 1977. Octavo. Hardcover. Reprint. Illustrated. Fine copy in fine dust jacket (in mylar). Madigan, Thomas F. Word Shadows of The Great. The Lure of Autograph Collecting. Photo available. New York. Frederick A. Stokes. 1930. 300 pps. Octavo. Hardcover. First edition. Illustrated. Important reference work. Fine copy. Madrid, Nancy (ed). South China Seasons Cook Book. Photo available. Hong Kong. American Women's Association of Hong Kong. c. 1994. Octavo. Spiral bound. First edition. Illustrated in black, white and color Fine copy. Madsen, Axel. Hearts and Minds. The Common Journey of Simone de Beauvoir & Jean-Paul Satre. New York. William Morrow & Co. 1977. 320 pps. Octavo. Hardcover. First edition. Illustrated. Fine copy in very good (light shelf wear) dust jacket (in mylar). Madsen, Axel. 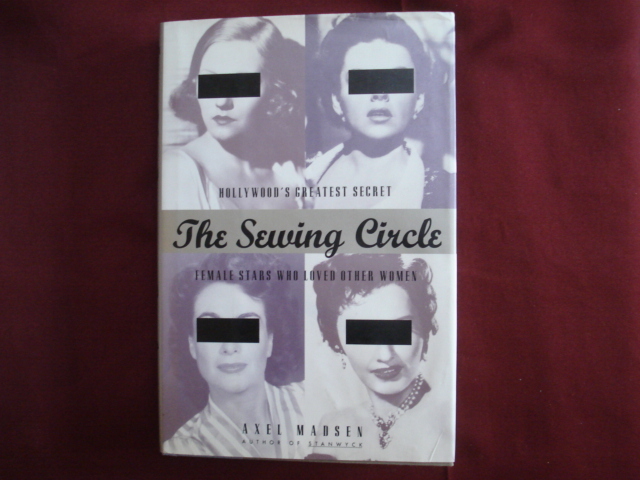 The Sewing Circle. Hollywood's Great Secret. Female Stars Who Loved Other Women. Photo available. Secaucus. Birch Lane. 1995. Octavo. Hard cover. First edition. Illustrated. Fine copy in fine dust jacket (in mylar). Madsen, Susan Arrington. The Second Rescue. The Story of the Spiritual Rescue of the Willie and Martin Handcart Pioneers. Photo available. Orem. Millennial Press. 1998. 148 pps. 4to. Hardcover. First edition. Full number line. Illustrated. Important reference work. Fine copy in fine dust jacket (in mylar). Madsen, William. The Mexican-Americans of South Texas. New York. Holt, Rinehart and Winston. 1965. 110 pps. Octavo. Soft cover. First edition. Illustrated. Very good copy. Owner notes, underlining.